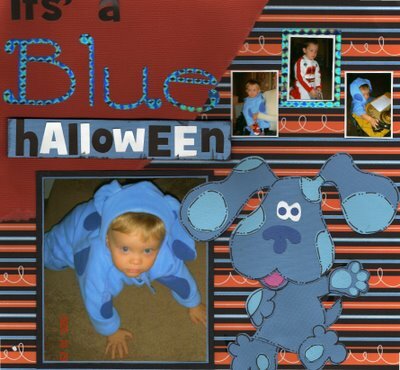 The two layouts above are some of my recent scrapbooking work. 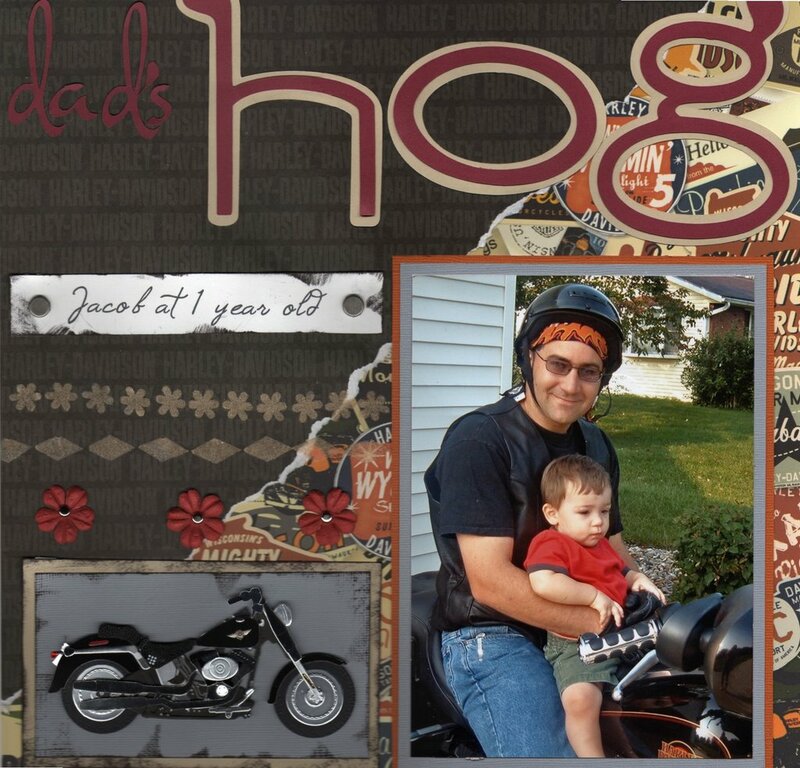 The top one is Jacob with his Daddy (Eric). The picture was taken about a year ago. 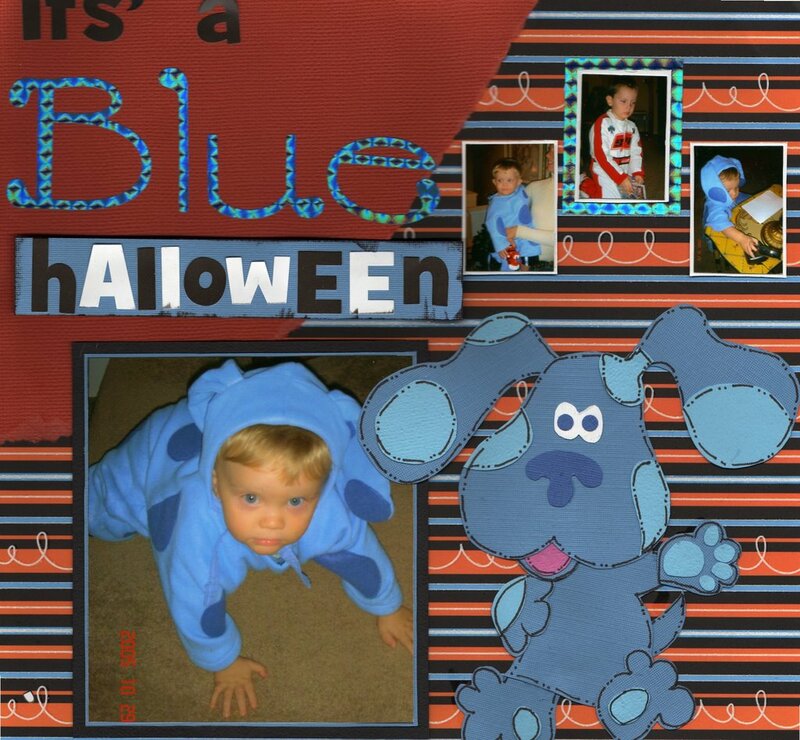 The sencond layout is Caden at Halloween in 2005...also about a year ago. I"m behind on everybody's things but I just keep pougging along. This is a very special day for Wayne and me. It is our 34th wedding anniversary. I remember hearing people say they were married for thirty some years and thought they sure were old. It doesn't feel so old anymore. I still feel like the young girl that got married....just with a lot of life lessons that have been learned and three beautiful children raised. We both would marry the other again if we had the choice. I have had my losses in health but am so thankful for our relationship. It has pulled us both through some hard times. I am slightly better today. Still some nausea and headache but I can tell it's just a tad bit better. My tooth is still holding on without pain as long as I keep smothering I with canker sore medicine. Please pray with me that I will be well enough to get the root canal on Tuesday!